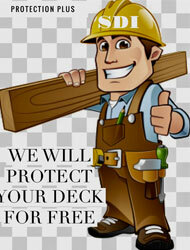 A lot of contractors "Also do decks" We only do decks. The first thing we do is perform a complete inspection for rot damaged wood, water damage, insect damage, to see if it needs to be repaired or replaced. Any safety concerns are brought to your attention and a written report on our findings is submitted. Once we have your approval to go ahead, all work will be performed. We only use the best biodegradable, eco-friendly cleaning solutions, then deck is power washed to remove graying, mold, mildew, and dirt. Pressure is regulated depending on the type of wood species in order not to cause damage to the wood surface. This process removes the existing stain, or sealer. Once stripping is done, the next step is to bring out the natural color of the wood and neutralize the stripping compound. Once the deck has been stripped and restored, it is then ready for refinishing. Opens the pores of the wood creating a profile for future coatings to adhere to when using a solid stain as well as to allow other stains to penetrate the wood. It creates a smooth surface to walk and play on. Damaged boards are repaired or replaced. Any safety concerns are addressed and corrected. Today many stains are water bourn due to VOC regulations. They come in many color choices and are made to penetrate like an old oil. Sealers are made from paraffin which is a wax and tend to burn off from the sun and only protects the wood surface and not from the inside out. Exotic hardwoods are very dense and difficult for a coating to penetrate and will require yearly re-coating. If the boards on your existing deck are looking a bit worn and the foundation and deck framing system are sound, you can simply replace the walking surfaces and deck railings. It’s an ideal way to save time and money. 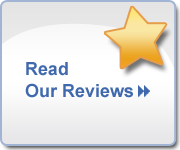 Best of Long Island for Best Deck Refinishing Company, Featured on Extreme Home Makeover™ on ABC™ and George to the Rescue™ on NBC™.